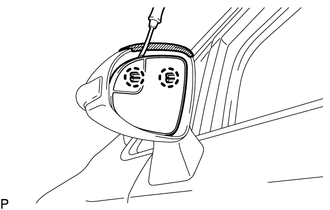 (a) Check the outer mirror heater operation. 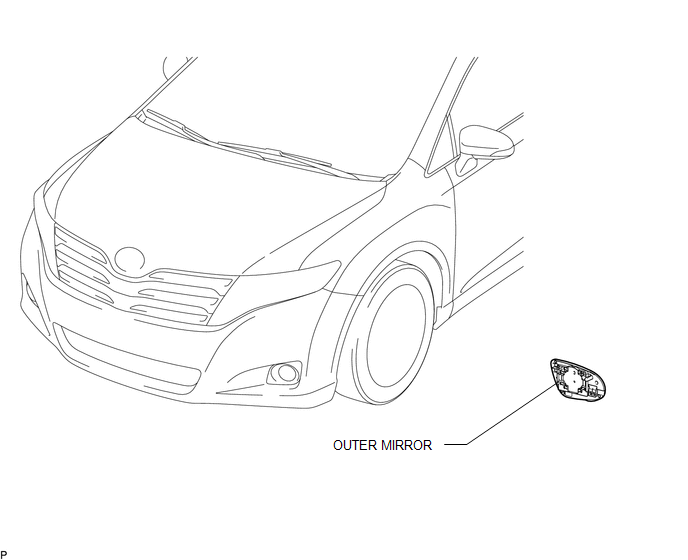 If the result is not as specified, replace the outer mirror RH. (1) Measure the resistance according the value(s) in the table below. 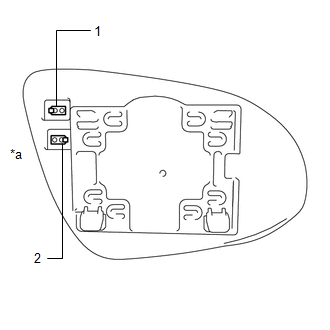 If the result is not as specified, replace the outer mirror LH. (a) Push the lower part of the outer mirror surface and tilt it. 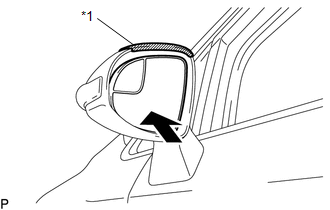 (b) Apply protective tape as shown in the illustration. 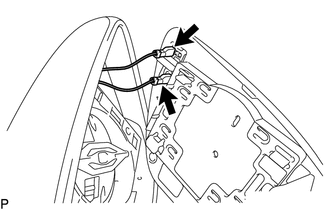 (c) Using a clip remover, disengage the 2 claws at the upper part of the outer mirror. 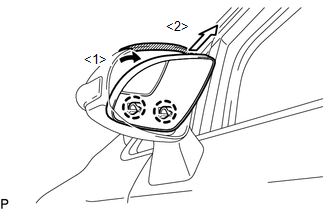 (d) Disengage the 2 claws and disconnect the outer mirror as shown in the illustration. 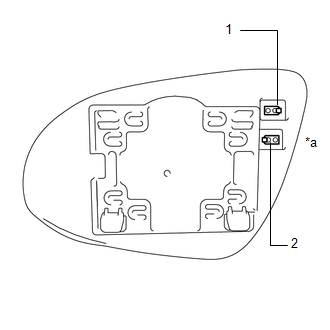 (e) Disconnect the 2 connectors and remove the outer mirror. (a) Connect the 2 connectors. 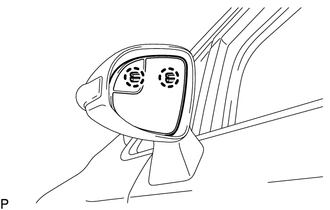 (b) Engage the 2 claws on the lower part of the outer mirror to the outer rear view mirror assembly as shown in the illustration. 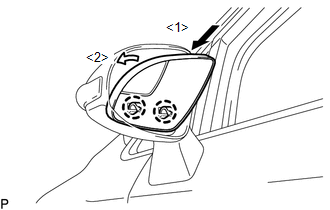 (c) Engage the 2 claws on the upper part of the outer mirror to the outer rear view mirror assembly.